It's been a sleepy summer for the folks of Lake Eden, Minnesota. In fact, it's been a whole four months since anyone in the Swensen family has come across a dead body—a detail that just made the front page of the local paper. And that means Hannah Swensen can finally focus on her bakery. . .or can she? Life is never really quiet for Hannah. After all, her mother's wedding is a little over a month away and guess who Delores put in charge of the planning? Yet just when Hannah believes her biggest challenge will be whether to use buttercream or fondant for the wedding cake, she accidentally hits a stranger with her cookie truck while driving down a winding country road in a raging thunderstorm. Hannah is wracked with guilt, and things get even worse when she's arrested. . .for murder! 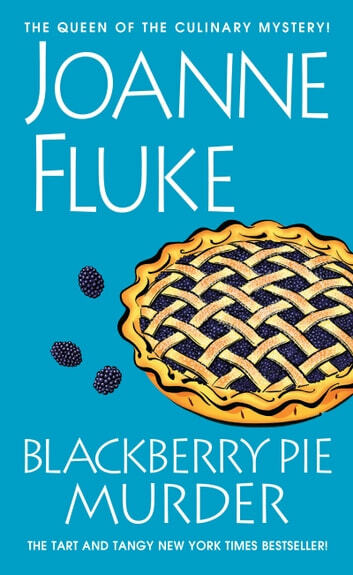 But an autopsy soon reveals the mystery man, his shirt covered in stains from blackberry pie, would have died even if Hannah hadn't hit him. Now, to clear her name, Hannah will have to follow a trail of pie crumbs to track down the identity of the deceased, find a baker who knows more about murder than how to roll out a perfect pie crust—and get herself to the church on time. . . 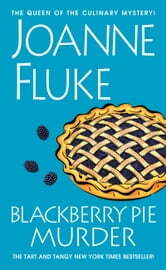 This is the first book I have read by Joanne Fluke and it will be the last. The whole time I was reading this, I kept thinking, why is she so popular? It's basically a cookbook with a story written between recipes, and a thin story at that. The characters were dull and unbelievable, the story was boring and easy to predict. All they do is eat cookies all day long and talk about what to have for dinner. There are lots of good cozies out there - skip this one. I found this book to be interesting and full of events. I liked the fact that there swerve bakery recipes for cookies and pies. It's been four months since Hannah last found a dead body, and the only thing on her mind is getting her mother to settle on something for her wedding. That is until a sever summer storm forces Hannah to lose control of her car and hit a man, killing him. But no one recognizes him. Who is he? And what was he doing in Lake Eden? There is little that changes in the lives of the characters, but I still enjoyed visiting them again since I found them their normal charming selves. The cliffhanger at the end definitely made me want the next book out soon. This series is great for making you hungry. The characters are described so definitively that they could be your closest friend!